Featuring 108 Custom Desserts to choose from. So how big is the Bread Pudding Market? Just ask Rachael Ray what's the very best and most expensive bread pudding on the market and the Schultzies Brand will be at the top of the list. Not for the most expensive desert that sells for $34,000.00 per dish, but for the Best with over 108 different deserts to choose from. Sarah Schultz the owner of Schultzies is coming to the Shark Tank looking to snag at least one Shark with a big pocket book and a sweet tooth to match. Currently there's two Schulzies Bread Pudding Shops open for Business in California. The first Schulzies is located at 1827 Ocean Front Walk in Venice, CA., with the new location at 364 Hayes St. in San Francisco. If you'd like to get a real good idea what some of these 108 Bread Pudding Dishes look like and what to expect before you get there, look no further than Schulzies FaceBook page that has several pictures of desserts Sarah offers. But one thing I must warn you if you live anywhere within 100 miles of a Schulzies Pudding Shop is you might want to eat "any desert" you have on hand first. Why? Because I live over 800 miles from the nearest shop and I'm half tempted to jump in the car and take a little road trip of my own. Some of the 108 Bread Pudding dishes Schulzies offers is the Blazin Rum Raisin, Candy Apple Surprise, Crazy Cranberry, Fudge Fusion, Heavenly Hazelnut, Mandy's Cotton Candy, S'More for Me, Trail Mix Fix and 100 more desserts to choose from. By the looks of the complete list of Schultzies Desserts, Sarah has experimented with just about everything imaginable to create so many unique treats it would be a very hard decision just to choose one. It's no secret there's been several very successful food product's featured on the Shark Tank with a few now selling several million in product each year. To my knowledge none of these businesses have anywhere near the number of products offered as the Schultzies Bread Pudding which might have a few of the Sharks squirming in their chairs. I can only imagine Sarah's shopping list having so many different dessert items on hand at any given moment. Obviously the more Schulzie Store Fronts opening up, the more cost effective this business model would become. But what about right now, can having too many dessert options available be a bad thing for a small business? Another thing that sets Schulzies Bread Pudding apart from most other Food Product Businesses seen on the Shark Tank is there's not a single dessert you can buy online and have it shipped to your door. What's 7 million Shark Tank Fans going to do to satisfy their sweet tooth craving after seeing these desserts on national TV? They will most likely be buying a competitor's product and hoping maybe someday a Schulzies will open up near them in the future. I know, I know and yes I know it can be expensive sending certain food products through the mail. In fact some products cost just as much to send as they they do buy them. But the Shark Tank Show is different from any other form of marketing or advertising a business could possibly ever receive. If fans like the product and most importantly "You", they will willingly pay inflated shipping prices not because of the value, but because they want to show their support for your business. 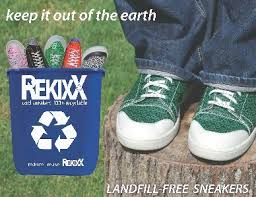 With no way to support a contestant/product it seems at least to me like a huge wasted opportunity that "could of" had those cash registers a ringing. But how the heck are you going to send an Upside Down Pineapple Bread Pudding Cake through the mail? I have no clue about that one but out of 108 different desserts to choose from, maybe there's a half a dozen of them that makes more sense. No doubt both Schulzies locations will be jam packed come this weekend (maybe set up a video cam so we can all see?) 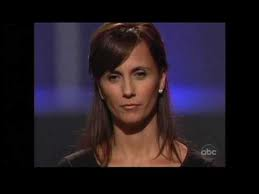 so no matter happens you just cant go wrong by going on the Shark Tank. As far as getting a deal with the Sharks this Friday Night, Hm, I'm not sure mainly because of the reasons stated above. The Sharks know first hand how powerful the Shark Tank Effect is immediately after the Show airs, and in a few case's such as The Wicked Good Cupcakes which is a close match for Schulzies, Kevin O'Leary made his full investment back before the weekend was even over. 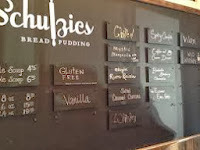 If you happen to live in California and go by a Schulzies Bread Pudding Shop this weekend, myself and several thousand other Shark Tank Fans would love to hear about your experience. 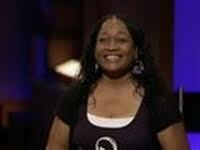 Please tell Sarah Hello and Congratulations from the "Shark Tank Success Blog". I was disappointed none of them invested in you. I agree, you didn't seem as prepared as maybe you could have been, but they are each skilled enough to "bring you to speed" within the best business model you belong.